We have our first look at some of the official merch for next year's Batman v Superman: Dawn of Justice. 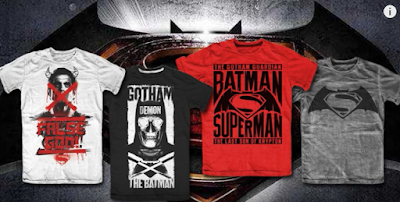 Warner Bros. has revealed a line of badass t-shirts with striking graphics of the DC icons. Collider has the details below.